What Happened to YA Historical Fiction? Historical details like these bring the past to life, giving us insights into the cultural, social, political, and even linguistic realities of the past. But they also bring the past closer, showing us how little human nature has changed. This is why I love delving into historical research—and writing historical fiction. Of course, I hope mynew novel will ultimately find a publisher, and that young adult readers will feel the past is as compelling and relevant as I do. But if my new novel makes it into print, it will be bucking a longstanding trend. Historical fiction isn’t popular with younger readers these days, nor with the editors who publish books for those young readers. Since the 1990s and the emergence of J.K. Rowling’s Harry Potter series, middle grade and young adult editors in the United States have bought and published hundreds of fantasies. Rowling’s brand of fantasy gave way to Stephanie Meyer’s Twilight series, a world of vampires and werewolves. Zombie novels followed. So did Suzanne Collins’ Hunger Games series, which ushered in a trend in dystopian worlds. The magic in these books came with an overlay of science fiction rather than witchcraft, wizardry, and mythological creatures, but it was fantasy nonetheless. True, contemporary fiction continues to hold its own with young adult readers—think John Green and his remarkable novels—but historical fiction rarely appears on a publisher’s young adult list these days. Even more rare: a YA historical bestseller. Elizabeth’s Wein’s Code Name Verity proved to be an exception, perhaps because adult readers embraced the book too. A recent New York Times YA list of summer reading recommendations included only one historical novel in a line-up of eight titles. Frankly, I was surprised to find even one historical on the list. 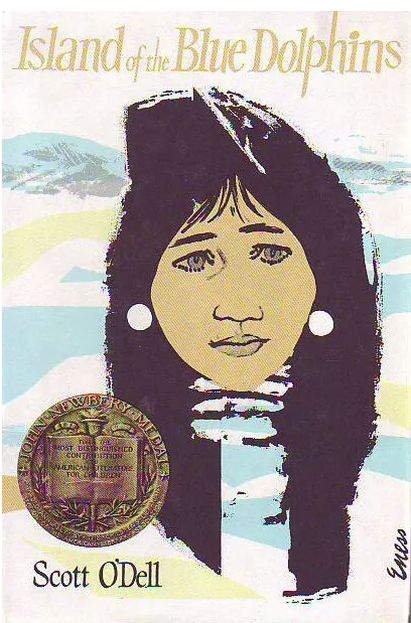 Yet throughout the mid-20th Century, historical fiction and biography were indispensable to children’s literature: Caddie Woodlawn, Johnny Tremain, Island of the Blue Dolphins, the Childhood of Famous Americans Series. Even classic fantasies sometimes had historical underpinnings—Tuck Everlasting, for example. Those of us who grew up in the 1950s, 60s, and even 70s read historical novels and biographies along with our favorite mysteries, fantasies, sci-fi novels, and contemporary titles. The past was also part of popular culture then— on television: Gunsmoke, Bonanza, Hogan’s Heroes, and later M*A*S*H. Movie after movie was set in the past; Disney produced dozens of popular historical films, from Old Yeller and the Davy Crocket movies of the 1950s to Pollyanna and Swiss Family Robinson of the 1960s. While their historical details weren’t always accurate, young viewers and readers of that era became familiar with concepts from the past. Sure, buggies, calico, and dancing a pigeon wing were historical references, but we figured them out. The past held its own kind of vocabulary and adventure. It also held promise. Karana’s hand-made spear in Island of the Blue Dolphins seemed more powerful than Wart’s sword-in-the stone because her weapon had been shaped by her own hand, not by magic. Karana survived in a real and historical world, not one filled with fantasy. That was the promise of historical fiction in those days—and its power: the past had been real. It was at once unfamiliar and familiar. Historical fiction was where the past touched the present. It touched and influenced our young lives in the mid-20th Century. Why should anyone care if generations of young readers today have little experience with historical fiction or biography, or that contemporary popular culture ignores the past? Isn’t this a purely academic question? I don’t think so—because what people read as children and young adults can shape their outlooks, expectations, and attitudes for a lifetime. Consider this year’s presidential election. I can’t help but think that masses of young voters who support Bernie Sanders with such passion may unconsciously see him as a Dumbledore figure, taking on the corrupt Ministry of Magic. Like Sanders, Dumbledore is a white-haired visionary. He has no need for programs, policies, or compromise. He has Magic and Right on his side; who needs anything more? The lack of excitement and perspective about Hillary Clinton’s historic achievement—the first woman about to be nominated for president from a major political party—may also relate to this issue. Young voters who’ve grown up with fantasy may simply see a woman president as inevitable, not as the culmination of a historical, social, cultural, and political struggle that has spanned centuries. When Laura Ingalls rejects traditional marriage vows in These Happy Golden Years, refusing the pledge to obey her future husband, today’s young readers may not understand that her action is extraordinary, even revolutionary, given her character’s place in history. Don’t get me wrong. I love a good fantasy, and eagerly awaited every installment in the Harry Potter series. T.H. White’s The Once and Future King is one of my all-time favorites. But young readers benefit from reading a mix of genres; it gives them more perspective, insight, balance, and knowledge about the past, present, and future. It broadens their interests and ultimately their views of the world. Will this obsession with fantasy continue into yet another generation? Perhaps. But in one word, I see a glimmer of hope for historical fiction, and a return to balance in literature for young readers. And that word is Hamilton. History can be an adventure, and I hope new generations of young readers eventually will find it as unforgettable and transformative as I did. 1. The War of the Rebellion: ACompilation of the Official Records of the Union and Confederate Armies. Series 1—Volume VIII (Washington: Government Printing Office, 1883), p. 72. 2. William Faulkner, Requiem for a Nun (New York: Vintage International, 1951), Act 1, Scene III.